Information has been obtained from Traffic Accidents Data, The Rame Pathways Initiative Proposal 2012, the Cluster Parishes Transport Survey 2010, Millbrook Phase 2 Traffic Study and Transport Assessment 2009, Rame Peninsula Traffic Management Study, Antony Junction Improvement and Crafthole Circulatory System, and Tamar Crossings Study Brief . either from the Torpoint ferry or from the A38 trunk road at Trerulefoot. The A374 has two lanes, one in each direction throughout its length. Traffic calming in the village of Antony effectively prevents right turning movements for all but light vehicles to access the peninsula. Many large vehicles therefore have to access the peninsula through a single lane section of the B3247 through Crafthole. On the peninsula access is provided by the B3247 but over large parts of its length this is effectively a single lane road which allows traffic to flow using a ‘give and take’ principle at passing points. Parts of the B3247 act as a diversion route for the A37A, when this is closed, which leads to long delays and conflicts. It is acknowledge that few if any major traffic improvements will be funded on the peninsula during the life of the Neighbourhood Development Plan 2012 although two schemes are proposed for consideration to be funded under the Community Infrastructure Levy. The main emphasis, therefore, is on the effective management of existing traffic to improve capacity of the existing network and in particular to improve safety to cope with the increase in traffic since 1991 and the limited further development envisaged over the next 20 years. To improve the quality of life within villages and for increasing enjoyment of the countryside on the peninsula a number of home zones and quiet lanes are proposed. The concept of Quiet Lanes is particularly encouraged and it is believed could become a significant tourist attraction linking with the proposals for footpaths to encourage use by residents but also encourage cyclists and walkers to access the peninsula via the Torpoint and Cremyll ferries. The recommendations are shown on the accompanying map. The major capital development project required on the peninsula is for a link road to by-pass Antony. This will allow right turn entry off the A374 and exit for all vehicles. This link road would be short and use the road to Scraesdon Fort as it starts before joining the A374 to the west of Antony. This development would need to include effective speed control measures to be instigated at Sheviock to ensure compliance of the increased numbers of heavy vehicles. This development would also remove the blight of large vehicles travelling through the single lane B3247 at Crafthole. At much smaller but equally import capital development would be the introduction of traffic light controls at Millbrook. The traffic lights would control traffic through the ‘narrows’ at Hounster Hill. In order to aid flow around the peninsula a voluntary one system for large vehicles, including buses, is proposed for the network beyond Tregantle. The one-way route would require large vehicle to enter Rame Peninsula by following the B3247to Cremyll. The exit route would be by the B3247 to Four Lanes End School where heavy vehicles would follow the road through the back of Kingsand and Cawsand, past Forder and continue along Military Road through Freathy to rejoin the B3247 to the immediate west of Tregantle Fort. vehicles meeting at Hounster Hill in Millbrook and improve safety but will also allow for increased coach traffic in support of increased visitor numbers for Mount Edgecombe Country Park. There will be capital costs for the signs but little if any on-going revenue costs. It will be necessary to discuss with all local businesses to get their ‘buy-in’ and bus services will need to be reviewed to allow for example Freathy residents to access Millbrook on a regular service. To support major events in the area such as the Gig races and the Classic car rally and to reduce congestion during these times the one-way system described above should be enforced for all vehicles. In addition, to avoid the congestion between Tregantle Fort and the A374 through Crafthole, the one way system should be extended to include Crafthole, with vehicles entering the Peninsula through Crafthole but exiting through Antony – producing a ‘figure of eight’ movement across the peninsula from the A374 at Polscoe Hill and Antony to Millbrook and Cawsands/Kingsands. 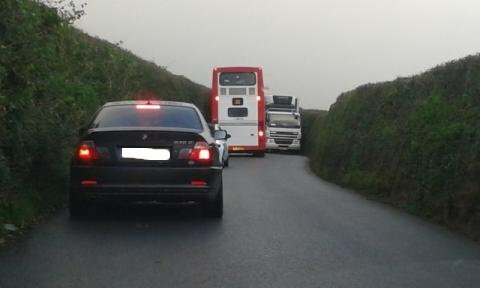 The additional one way system should be enforced to prevent traffic trying to leave the A374 through Antony on the B3247 and to prevent traffic continuing to travel from Tregantle Fort to Crafthole. The signage for these routes would be capital but there would be an on-going revenue requirement on event days. 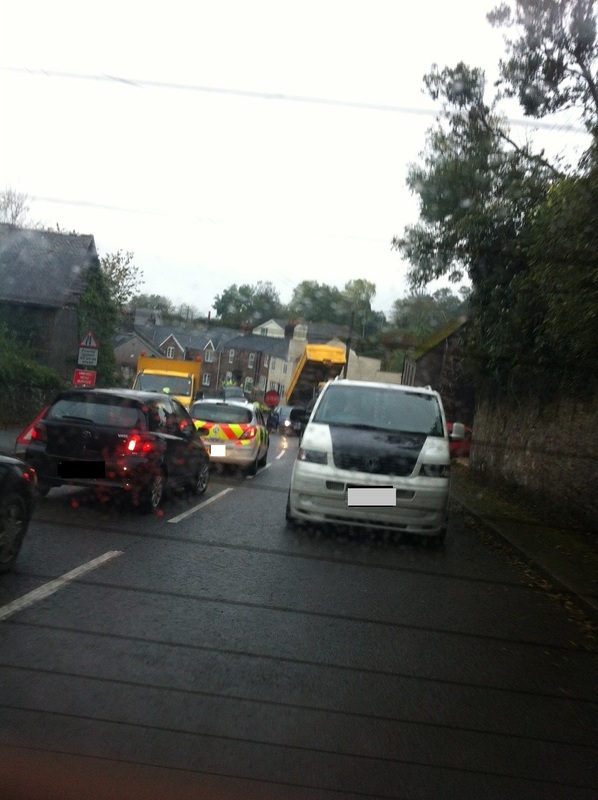 A major problem for traffic movement occurs on the peninsula whenever an emergency closes either the A374 or the B3247. 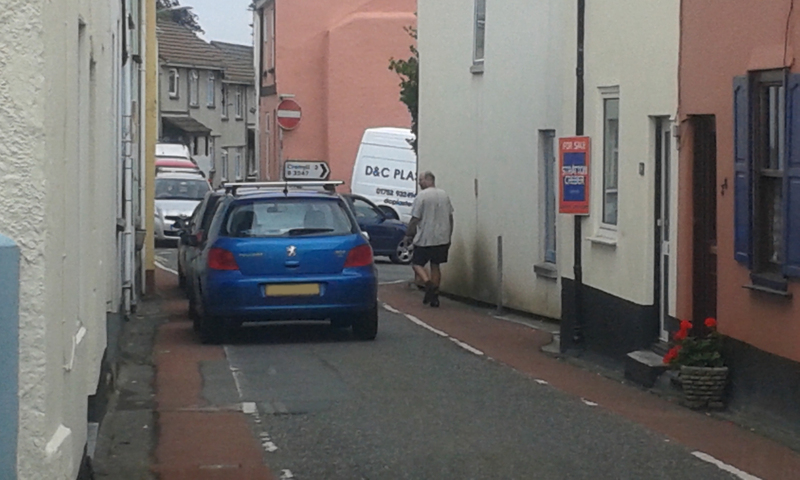 Cornwall Council has agreed to produce emergency diversion routes for both roads. There will be signage required which would be a capital item for storage at convenient locations and there will be a revenue component for implementation for every emergency event. It is proposed that Crafthole, with Portwrinkle, and St John are designated ‘Home Zones’ and signed accordingly. This would have the effect of reminding drivers of the urban nature of these communities when faced with transiting commuter traffic. This may require some alterations to the current road markings. It is proposed also that the following roads are designated ‘Quiet Lanes’ to try and discourage commuter traffic and potentially provide useful routes for cyclist, house-riders and walkers, these routes are highlighted on the accompanying map. There would seem to be little reason why the roads identified could not be given 20 mph speed limits because their nature means that sort of speed should be self-policing. If successful the list of roads could be extended. From Kingsands to Maker Heights. There would be capital cost implications for the signs and changes to road markings.